Worker exposures to asbestos hazards are addressed in specific OSHA standards for the construction industry, general industry and shipyard employment sectors. These standards reduce the risk to workers by requiring that employers provide personal exposure monitoring to assess the risk and hazard awareness training for operations where there is any potential exposure to asbestos. 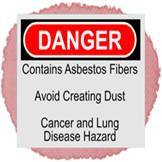 Airborne levels of asbestos are never to exceed legal worker exposure limits. Where the exposure does, employers are required to further protect workers by establishing regulated areas, controlling certain work practices and instituting engineering controls to reduce the airborne levels. The employer is required to ensure exposure is reduced by using administrative controls and provide for the wearing of personal protective equipment. Medical monitoring of workers is also required when legal limits and exposure times are exceeded. 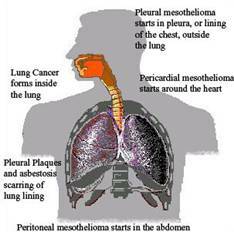 Individuals who have worked in the above work environments and occupations should consult with a physician with expertise in the evaluation and management of asbestos-related lung disease. 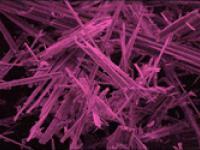 Exposure concentration – what was the concentration of asbestos fibers? Exposure duration – how long did the exposure time period last? Exposure frequency – how often during that time period was the person exposed? Microscopic view of lung tissue with asbestosis. CEMENT SHEET, MILLBOARD, and PAPER used as insulation around furnaces and wood burning stoves. 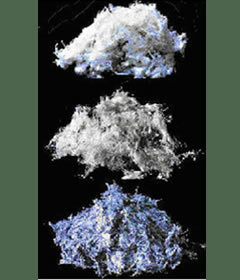 Repairing or removing appliances may release asbestos fibers. So may cutting, tearing, sanding, drilling, or sawing insulation. Label the container with identification number and clearly state when and where the sample was taken. Send the sample to an asbestos analysis laboratory accredited by the National Voluntary Laboratory Accreditation Program (NVLAP) at the National Institute of Standards and technology (NIST). A directory of NVLAP-accredited laboratories is available on the NVLAP web site, http://ts.nist.gov/nvlap. Your state or local health department may also be able to help. For more information on asbestos in other consumer products, call the CPSC Hotline or write to the U.S. Consumer Product Safety Commission, Washington, DC 20207. The CPSC Hotline has information on certain appliances and products, such as the brands and models of hair dryers that contain asbestos. Call CPSC at 1-800-638-CPSC. A teletypewriter (TTY) for the hearing impaired is available at (301) 595-7054.